Much of a doctoral academic program is targeted toward finishing the dissertation and not enough time spent on what to do once you have climbed to the top of that mountain. Too often programs place emphasis on research as the singular most important element for faculty lives (Adams, 2002; Tierney & Rhodes, 1993). Many programs excel in preparing young professionals to engage in quality research endeavors, which is embodied within the excellent dissertation preparation these students receive. However, doctoral programs that are focused on preparing future faculty must consider the multiple responsibilities these young professionals will encounter as they enter the professoriate. Many of the multiple lessons learned on the backward side of becoming a viable member of the faculty are learned through experience and an occasional troublesome journey off the accepted path. The guidelines for this journey have been termed as sharing the secret handshake; known only to those who have already found themselves comfortably situated in a secure academic position. The following is intended to offer some guidelines and suggestions from our own experiences both on and sometimes off the path and from guiding others as they traverse this challenging terrain. Each journey is unique but here are some common obstacles and shortcuts that might assist you as you venture into your academic trek. So, you’ve made the decision to enter the academic life of a professor. To embark on this type of endeavor requires you to consider several things including the selection of potential academic settings and locations, expectations – theirs and yours, and your qualifications for an academic position. One of the choices you will be making early in your search is whether you will be looking toward a research-oriented or teaching-focused institution. Each one has it advantages and challenges. Whichever one catches your eye, remember for the majority of universities, scholarship is always emphasized. Also, the push for external grant funding also may differ from one institution to another. Your pre-visit research will help you to determine in which ocean you will chose to swim. Let’s begin with the “look.” You are about to graduate from a quality doctoral program with a vast array of learning experiences and research opportunities to avail you of the potential for a great job as a professor. Think of it as your first day of Kindergarten. The big yellow bus pulls up in front of your house, you have to make a huge step up to get onto the bus (sometimes you falter), and then you have to walk down the long aisle (which seems like walking the gauntlet) to find a seat. All this before you get to the classroom. It seems nearly impossible, but if you are organized and have done your homework, you should find the process of fitting into an academic setting can be an exciting adventure. During your graduate program you have actually been socialized in terms of the academic setting and are better prepared for the job search than you may think (Austin & McDaniels, 2006). As you have progressed through your program you have had many opportunities to learn about various college and university settings. Your efforts to learn about the array of programs and their course offerings in the field has led you to consider the type of institution you might prefer. It’s always wise to spend time considering the differences in programs as each has its own unique culture and dynamics (some are known to be nurturing, others to “eat their young”). And, as you learn of position openings you begin to think about how you might fit into their program. Do remember they are seeking someone who will match their needs, so while you might think you are a “fit” you may find they don’t agree. Don’t be disappointed if you don’t get the call to interview. They just had someone else in mind. It’s ok, you’ve probably applied to several positions, so you’ll be fine. Selecting the institution to which to apply requires a bit of work on your part. First you should spend some time looking over the university and program websites to learn more about their dynamics and philosophy. Learn about the cost of living for that area and information about the community in terms of available housing, schools, support services, and social opportunities. You might find a great place but it is a 5-hour drive to the nearest airport and that might cause you problems when it comes to any travel expectations you might have. You might make a list of the things you need or want in a location, identifying what you are really looking for in terms of a location for working and living. The job search commences with the cover letter to announce your interest in their open position. Do not assume anything as you prepare this letter. You may have met some faculty from the program, but you may not know who is serving on the search committee nor who is screening the letters. A single position announcement can elicit hundreds of letters of application (Adams, 2002). Your cover letter will mean the difference between being placed in the “consider” or “don’t bother” piles. A carefully crafted cover letter can assure you of the first step in the process for being invited to an interview. In this very competitive world, it is always wise to have someone else proof-read the letter since a single error might automatically banish you to the wrong pile. The best advice we can offer is write to the identified qualifications and how your strengths align with those well. Also, it doesn’t hurt to “stroke” their allegiance to their institution either. If someone in the faculty just received a noteworthy award, mention it. It shows that you’ve done your homework about them, which is often what impresses the committee. You’ve made the effort to consider them, now you are asking them to consider you. Sequence and terminology is also important. Address each of the the requirements in order using the same terms that are stated in the posting for the position. This allows the screeners to quickly complete a checklist to make sure you are included in the right stack for further consideration. And, include all the relevant materials they request, e.g. reference names or letters, transcripts, writing samples. Congratulations, you got the call to go to the campus for an interview. How exciting. This is getting your foot in the door. Be as flexible as you can in terms of arranging your visit. Most likely it will involve 2-3 days on campus. You’ll probably be asked to present some aspect of your research agenda. You just finished that dissertation study, surely there is something there you can present to the faculty and students that will be meaningful and about which you have a vast knowledge. But, don’t overdo that part; you want to appear prepared and knowledgeable, but comfortable as well. You’ll be invited to have several meals with faculty and students. Be prepared to eat “simple foods” because your time there is not to eat well, but rather to continue the interviewing. Do request an opportunity to spend time with the students, perhaps over pizza. Much of your time will be spent socializing and talking about why you wish to be part of that institution and community. One piece of advice is to arrange to arrive on campus earlier than the start of your interview process. It might help to have a whole day to wander around the campus, visiting the area, and learning a bit about the environment. If you are considering a position at an institution in a northerly location, you might wish to visit in January or February to get a feel for winter, especially if you’re from the south and have never ventured to a place where there is an annual average of 10 feet of snow! You will want to see if you fit into the culture of the institution by doing a walk-about and getting a better feel for the place. You should also consider questions you might ask while there. You’ve done your homework and know a lot about the institution and the program. But, you’ll want to know more details about the work-load (what courses you’ll be asked to teach), the responsibilities of a first year faculty member (advising, committee work), and options that might be available (research settings, resources, tenure-track travel support). Even as you are asking your own questions, the program faculty are considering how well you match with their interests and program needs. There are a few cautions when you are interviewing that can affect how well you are received. It is very unwise to suggest that you’d like to work at that institution because it moves you closer to your family or your significant other just took a position in a nearby location. A large city nearby is also not a good reason for selecting that institution. It’s good to be honest, but don’t suggest you are considering their program because it is convenient for you. What is important is that you emphasize how well you believe you fit into their program and the asset you will be if invited to join their faculty team. It is suggested to not mention salary or question benefits until you have gotten past the initial interview stage. It is a good idea to let them bring up the topic. When asked about salary, a safe reply might be: “I would expect my starting salary to reflect my level of experience and expected job duties.” If the salary seems low, inquire about a six month review of your performance for an adjustment if waranteed. For public institutions, salary ranges are usually available on the university website that you have already reviewed in preparation for the visit. Sometimes the schedule includes a visit to the Human Resources office, which is where you can learn about the benefits that are included in the hiring package. Be sure to get materials about their health and retirement programs. While, yes, you may be still very young, it doesn’t hurt to think about the day when you’ll be one of the gray-haired senior faculty. Tenure and promotion are part of the ritual of becoming a member of the faculty. And, the process largely starts on your first day at the university. The university search process costs a lot in terms of money and time and you were the one selected. That’s great news! You’re first step on the way to becoming a professor has been actualized. And, in that process, there are considerations that you should keep in mind. You need to be well informed as to the actual institutional expectations and how they are managed within the program/department and the university. It’s best to get started as soon as you get the key to your office, find it, and figure out where to find the office resources you will need (like a stapler). It is also wise to be cordial to the individuals with the true power (Administrative Secretaries) who make sure all paperwork is handled efficiently and that you are advised of any office policies that need to be followed. Sometimes the most important lessons are learned through the most difficult circumstances. A very applicable example is when the president of the university asked the faculty members if there were any questions during a faculty-wide beginning of the semester meeting. Not realizing that this was a rhetorical question for non-tenured faculty, I [Ana] asked why the university was not supporting minority recruitment for the coming semester. The question was met with silence and then a mumbled reply about investigating the question further. I had just left the auditorium when the provost came leaping over tables and faculty to grab me by the shoulders and ask “who the hell are you?” Fortunately the local press was not at the meeting and this was not the year I applied for tenure. When I returned to the department and shared my question, my mentors [Sharon and Mary] very patiently and firmly explained that: “I was to keep my non-tenured hand in my lap, my non-tenured mouth shut, and my non-tenured bottom in my chair.” Up to this point, in my four years at the university, I had innocently believed that I had a voice as a faculty member. For the next year, I learned to keep my mouth firmly shut when asked for faculty input. The awarding of tenure and promotion to Associate Professor the following year, finally gave me the voice that I thought I had all along. Rick West shared with us that his experience as a new faculty member at BYU was just of opposite of the above example. He was encouraged to have a voice and contribute to the faculty decisions prior to T&P. This is why it is so critical to know the players on the field and to make sure that you all are wearing the same uniform on the playing field. In addition, it is advisable to be seen in your office and to regularly attend department meetings. Your effort to make time to be part of the faculty is also an essential element to being a member of the team. If you are absent, make sure someone knows that you are attending another meeting or going out of town to a conference. And, when you do attend program and department meetings, don’t bring your knitting or model airplane kits, and please don’t do your email. You want to demonstrate your interest in learning more about how you can be an active member of the institution. And, finally, don’t volunteer for everything. Your time is valuable. I [Sharon] was advised that I was probably not born with my right hand raised high in the air, nor that my first words were most likely “pick me.” It’s a challenging. year, don’t make it worse for yourself by taking on too much or alienating the people who wish to make you an integral part of their program. Huber (1992) wrote a book entitled How Professors Play the Cat Guarding the Cream in which he suggested that you need to be cautious about balancing your responsibilities between teaching, research, and service. He offers that it’s not all about the research, that there is importance to considering your teaching and service. But, you will hear from those sharp-clawed cats (tenured professors) that teaching and service have little value. In truth teaching takes up a huge portion of your time those first few years. You have to prepare the courses, grade papers, meet with students, and perhaps work with the curriculum team to be sure that what you are doing is a good fit to the program. The critical piece of advice from Huber is to keep your responsibilities balanced. If possible, a buddy or mentor within the program can help you make some good decisions about what types of things you might take on that first year. “Effective mentoring relationships enrich the professional world. They bring joy and benefit to all concerned” (Cates, 2016, p. 186). You might join a program that assigns someone to serve as your mentor. That can be a valuable way for you to learn about the program and your colleagues. Cates (2016) advised that “effective mentees come to their mentors well prepared. They have done their homework: reflected on their wants, needs and strengths; investigated their options; and explored what is available” (p. 186). This is very true within a formal mentoring relationship. But, it is wise to consider finding someone on your own as well. My [Sharon] informal mentor was a gal who always kept the teapot handy and the water warm. She was a member of a different department within the college, but we struck a chord in our discussions which led us to understand that whenever one of us needed an ear to hear our tale or a hand to shake us awake, the tea would be ready in 5 minutes. Either one of us could call the other and in 5 minutes we met in a little out-of-the-way room where we could sit and talk. In that time I learned to listen and to think about how to make the best of something that seemed insurmountable at the time. What I learned from her guided me to become a mentor to others, with some who became my best friends. In fact, it lead to the creation of the Sisterhood of the Traveling Bus… ahh, but that is another story for another day. We recommend that you review it for a diverse perspective of what we and others have suggested for your own success. It is customary to create a four-binder (or digital folder) approach to keeping your materials for the tenure and promotion process organized. One binder should hold general information that will include you teaching philosophy, current CV, and other general items. The second one will be for scholarship, which you have listed on your CV, but you do need to keep the actual publications. These two are followed by one for teaching and another for service. It is critical to update these each year as if this was the year you were going up for consideration. Scholarship: be publishing each year. It is helpful to determine the expectations for publications for T&P and always publish one more. Keep a copy of the published article in the binder along with information about the peer-reviewed journal or publication. A good idea is to get a publication out of each presentation at a conference. As a reminder of your visibility in the field, hang each conference name badge in a visible area of your office. Sometimes it surprises new faculty to learn that a peer-refereed journal counts more than a book in most institutions. If you are invited to co-author a book, suggest that you are honored, but that your focus is to continue your research agenda before advancing into the book preparation phase of your academic career. You may well be invited later by the original author. Teaching: Keep track of all teaching evaluations and the little notes of appreciation from students. Include an explanation of how you have used evaluations and suggestions to improve your instruction over time. As part of your general statement and philosophy, add reflective comments on how your teaching has evolved over time with an emphasis on student learning. Service: Show service at the program, department, college, and university levels as well as for local, national, and international organizations. AECT is a great place in which to demonstrate active international service since the door is always open at the division and leadership levels. The best university services options are those with high visibility and low time commitments. Many times new faculty are asked to take roles that might detract from primary responsibilities. If you find yourself having difficulty saying NO, then you might ask yourself if the added task directly leads to tenure. If not, consider thanking the requesting individual for the thought, but then explaining that you need to focus your efforts at the present on tenure and promotion. Always leave the door open for these added duties once you have achieved your professional advancement goals. Your T & P package needs to reflect not only who you are as a scholar, instructor, and professional member currently but also as a reflective road map of how you got to this place in the your journey. Leave no question in the minds of the T&P Review Committee that you are ready for this professional advancement and continued commitment to the university. The creation of the T&P package usually occurs after the fifth full year at an institution. Most universities do not encourage early consideration due to cross campus politics that may be out of your and the department’s control. Prior to the 6th year application, a 3rd year review is usually held to make sure you are on track. The results of this review are critical as an indicator of shortcomings or balance concerns. The traditional 3rd year review can be very illuminating. Take the advice offered in order to strengthen your package. If the letter suggests you need to focus on something more, e.g. less service and more scholarly publications, then cut back on the number of committees or find ways to increase your publications through collaborations and advancing students’ engagement in research. Remember that those conference presentations can often be turned into a publication with a little effort. Also, be aware that you want your publications to reflect the priorities of the program and university. For example, if you are in an institution where research is emphasized, then you will want more referred publications. If you are in a teaching-centered institution then more application types of journals may be applicable. It’s wise to ask your colleagues about where the emphasis is and what journals are recognized. One key concept that many new faculty miss is that you do not truly have a secure position until you have achieved the initial tenure and promotion advancement. You will spend the first five to six years holding your breath and working as hard as possible to be recognized as a valued permanent member of the team. Balance is the magic formula to help make this happen. Not only balance between the three areas of evaluation but also balance between your professional and personal lives. Generally you will be asked for a list of potential external reviewers when you start the actual T&P consideration stage. Keep networking at conferences and meetings to gather ideas of who might be good choices for external reviewers. Select people who are engaged in similar types of research or have similar types of positions (although of higher rank, e.g. associate or full professors). Keep in mind that your program people will also offer names. Most institutions will not allow you to offer the names of those with whom you have had direct work experience, e.g. your major professor, a co-author, a co-presenter. You will not know who got the invitation to prepare an external review, but like your job application, put your best foot forward with the materials you prepare for the reviewers. You will not see the letters that these reviewers write either; just get over it. Find an advocate to guide you through the T&P process. This person goes beyond the role of mentor because the person speaks for you and contributes to guiding T&P committee decision process. Your advocate becomes your voice during the T&P committee deliberations. Many times your program is within a larger department with multiple programs represented. Your advocate helps to identify the importance of your work both within the department and university as well as those “outside” organizations and agencies you serve. As stated before, often we receive mixed messages in the academic setting. It is important to make sure everyone is on the same playing field and wearing the same uniforms before starting the game in earnest. Prepare yourself by gaining an understanding of how to fit into the program/department/college culture in order to be successful. Sometimes this takes an initial period of lurking. Getting involved in office politics as a newbie is never a wise choice. When the dust settles, you might find yourself cheering for the wrong team. The one thing never taught in many doctoral program is how to navigate the politics of academia. It is important to remember the faculty dynamics that exist in even the most nurturing of environments. Traditional faculty members have always been the best at whatever they have done: best grades, top honors, and the center of attention in the classroom. This can lead to a bit of a diva-syndrome. When you have a gaggle of divas trying to direct policies it can become a bit daunting. You want to make sure that you keep yourself steady and to keep focused on what is important to you, getting through tenure! There are numerous examples of how many times you will encounter resistance to new ideas. You need to take stock of why you consider the new option as a better way. And, then you need to think about the potential for alienating yourself from your colleagues. Some ideas might be benign and won’t affect the others very much, which makes it possible for you to make the change within your class with little interference to the overall picture. For example, if you have a special opportunity to do research in another state, but need to have about four weeks to be in that setting, it might be possible to offer your evening course over 12 weeks rather than the traditional 15 by extending the class meeting times a little each week. You can be certain that you’ve met the demands of the institution in terms of contact hours, and you can assure the students that they are not short-changed in terms of the content. Thus, you can “end” the semester a little early for you and keep that research opportunity viable. However, when you decide that a creative schedule of multiple sections of a course would be beneficial to meet your needs (and you assume the students’ as well), but that schedule reeks havoc with the entire college schedule, then you might want to scale it back a bit to be sure that your idea does not affect colleagues, especially in other departments. It was Sharon’s creative idea to have all day Wednesday serve as “edmedia day” so that all 6 sections of the educational media course for all teacher education candidates could be completed in one day. After answering the call from the Registrar’s Office about how that could be done, I had to go to the Dean’s office to explain my idea. It was not so much the idea of an all-day edmedia day, it was that my idea affected six other departments and many faculty and courses. Good thing I had tenure then! Balance your life between faculty responsibilities and your personal life. The first two years are going to be daunting due to many new course preps and having to establish your research agenda in earnest. Your personal life does not have to be put on a shelf, but you need to figure out how to make it work for you. Some people have done such simple things as getting up an hour early to spend time leisure reading or exercising to be able to be with family for a short time before the “rat race” begins. Others have learned to take time in the middle of the day to go swimming in the community pool to meet people beyond the department faculty. Others have joined a community group, social or religious, that offers opportunities to meet people outside the university entirely. One of us [Ana] also found it important to schedule time with her retired spouse during her last two years at the university. My shared calendar was marked off as personal development for every Thursday afternoon. This was my special together time with my husband. Many days found us together on a local river in a canoe. I found this to be extremely important while I was working primarily online with the expected 24/7 access for students and other faculty. . The idea is do not find yourself having to wear a name tag stating, “Hello, my name is _____.” You want to be sure you can find ways to continue to engage in social activities. And, don’t forget that hobby or musical instrument. You need to block off time that is for you to decide how you want to make use of it. Do not do work. Oh, you’ll block off time for research, that’s true, but this is that special “me time” that so many of us forget to set aside in our early careers. Make the time, you won’t regret it. Use a wide variety of sources that list instructional design job openings. Most instructional design positions are in business and industry. Most high-paying instructional design positions are in business and industry (also known as “the faculty members’ lament). Acquire a strong set of skills in the production of instructional media. Acquire a strong set of design (and analysis) skills. Develop a strong set of communication skills. Don’t be discouraged if you don’t get the first job you apply for. Don’t be discouraged if you don’t get the second job you apply for. Become active in professional organizations. Publish, don’t cherish [share what you have learned]. Don’t be dejected if your manuscript is rejected. Develop an area of expertise. When preparing for a job interview, find out as much as you can about your potential employers. Keep up with the literature in your area of interest. Let your professors know you are looking for a job. (Prerequisite for Lesson 17) Demonstrate to your professors that you do good work. Even though Bob Reiser’s list seems more focused on the corporate side of the professional field, many of his ideas can be adjusted to the academic side of the profession. We have offered our ideas and suggestions of how to leap over those hurdles you may encounter. But, we can also state that all of this is worth your efforts. You have much to offer, but to be able to move forward, you must follow a path that gives you the voice that will be heard by others. Your path might be different than the one we described, but if you are wise and thoughtful, you will be successful in your endeavors. If you are interested in a career in academia, search for several faculty positions and look at the job description. Pay attention to the job responsibilities and qualifications. What do you learn from this experience? Adams, K.A. (2002). What colleges and universities want in new faculty. In AACU Series, Preparing Future Faculty Paper Series (pp. 1-16). Cates, W. M. (2016). (Ward’s) Ten principles of effective mentoring. In J. A. Our Journeys (pp. 179-188). Switzerland: Springer. Huber, R.M. (1992). How Professors play the cat guarding the cream. Fairfax, VA: George Mason University Press. Reiser, R.A. (2012). Getting an instructional design position: Lessons from a personal history. In R.A. Reiser and J. V. Dempsey (Eds.) Trends and Issues in Instructional Design and Technology (3rd Edition) (pp. 256-262). Boston: Pearson. Tierney, W.G. & Rhoads, R.A. (1993). Enhancing promotion, tenure and beyond: Faculty socialization as a cultural process (Report Six). Washington, DC: ASHE-ERIC Higher Education. 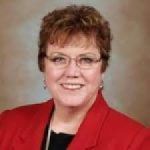 Dr. Ana Donaldson was the AECT (Association for Educational Communications and Technology) president for 2011-2012. 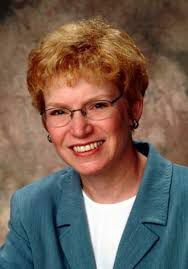 She retired in 2009 as an Associate Professor of Instructional Technology from the University of Northern Iowa. Besides her years of classroom and online experience in creating web-supported learning environments, she is a published author, keynote speaker and international presenter. Donaldson is currently a contributing faculty member for Walden University in their online Ph.D. Educational Technology program. Sharon E. Smaldino, Ph. D., holds the L. D. and Ruth Morgridge Endowed Chair for Teacher Education in the College of Education at Northern Illinois University (NIU). Dr. Smaldino teaches graduate courses in instructional development, distance education, and professional standards and ethical practice. She focuses on working with faculty and P–12 teachers to integrate technology into the learning process. She is the author of Instructional Technology and Media for Learning.